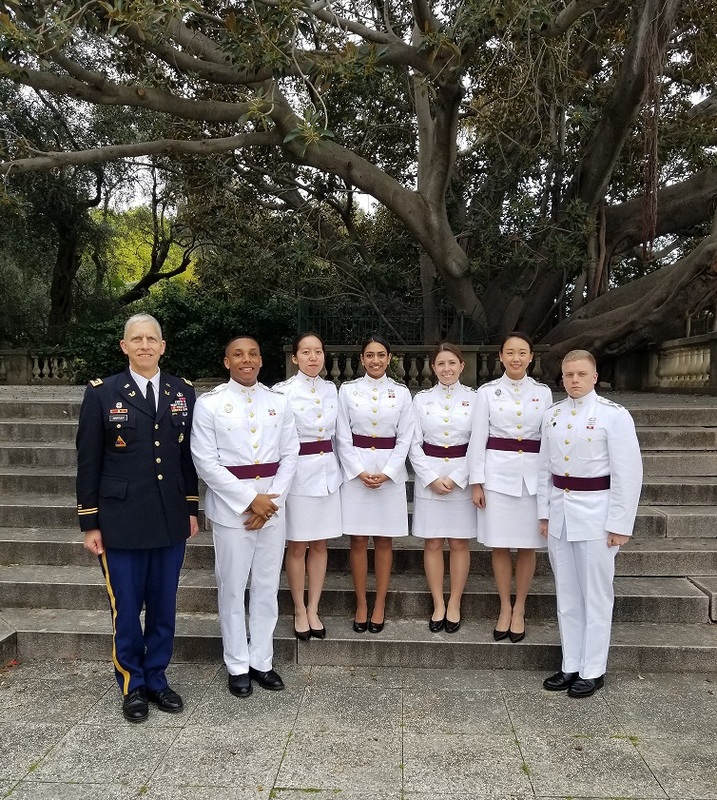 The Department of Law’s Academic Individual Advanced Development (AIAD) Program provides Cadets with immersive and enriching educational experiences outside of the normal academic programs offered at West Point. Funded in part by the Center for the Rule of Law, these summer internship opportunities are designed to broaden Cadets’ understanding of the law and their appreciation of the principles that underpin the rule of law. The Center for the Rule of Law also supports other student enrichment programs during the academic year, including Cadet participation at the annual Sanremo and Clara Barton international humanitarian law competitions. The Academies Competition hosted by the International Institute of Humanitarian Law in Sanremo, Italy, brings together cadets from the world’s top military academies in a multi-national competition stressing the critical importance of international humanitarian law during international military operations. The Department is grateful to John (USMA '96) and Caroline Nail for funding this opportunity for Cadets. The Clara Barton International Humanitarian Law Competition hosted by the Red Cross is a simulation-based, experiential competition that exposes Cadets to the types of challenges international humanitarian law practitioners face during armed conflict.